Celebrating the 1 st Kobe Marathon 2011, “ Carbo-loading Party” is held on previous day of the marathon. 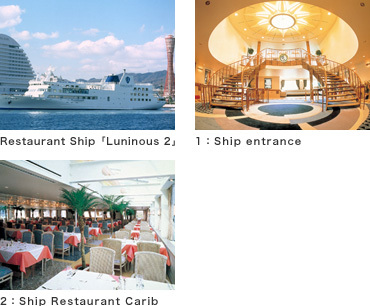 The venue is on the restaurant ship “Luninous Kobe2” Special guests are invited to this special event. You will enjoy their chat show, music and fun to take ceremonial pictures with them. And you are also satisfied with Marathon Original Foods for runners You spend this pleasant night with special guests and foods . 2nd floor at Merikenpark Oriental Hotel.